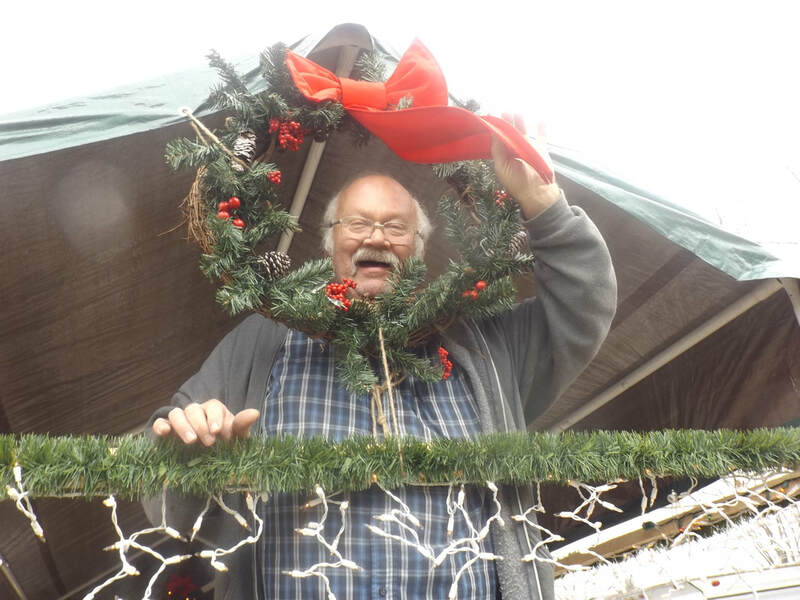 ​Bud Herndon on The Christmas Float! 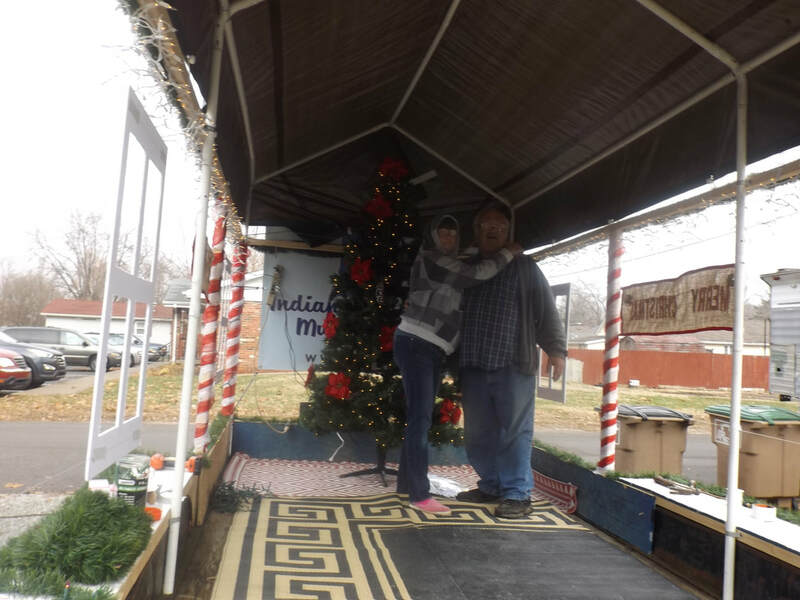 Bud Herndon (above), Columbus District President on their Christmas Parade Float, December 1, 2018! 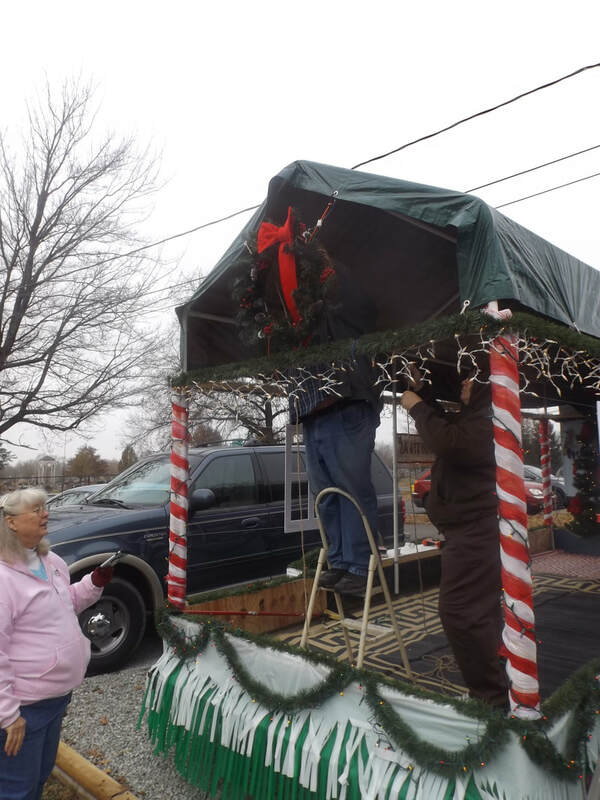 Bud Herndon, President of the Columbus District had yet another great idea -- after coming up with a summer hog roast, Bud follows it up with a Christmas Parade Float, which was entered in the Columbus Indiana winter festival parade! 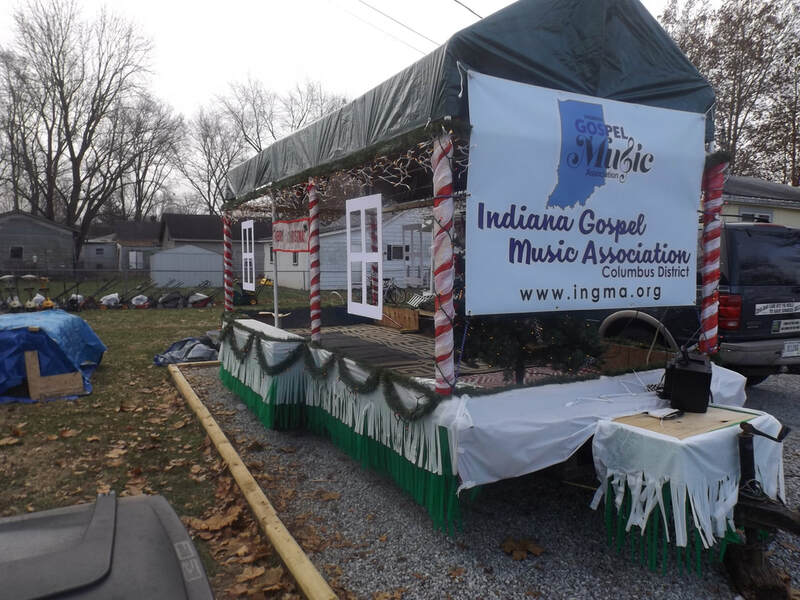 Here it is, the first ever, IGMA Christmas Parade Float, created by the Columbus District. 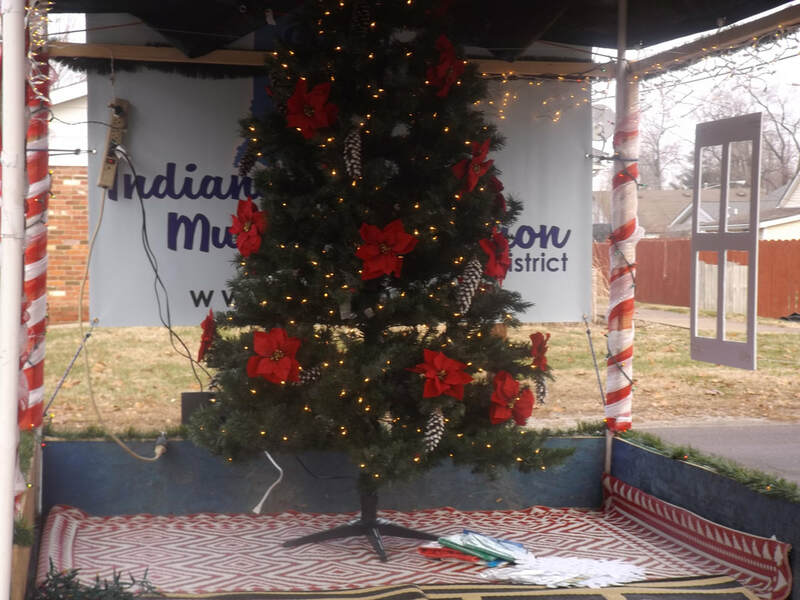 A beautiful Christmas Tree was a focal point of the float! A lot of creative thought went into how to create something that had never been tried before.. Bud and Nellie Herdon take a quick ("ahem") break from work! 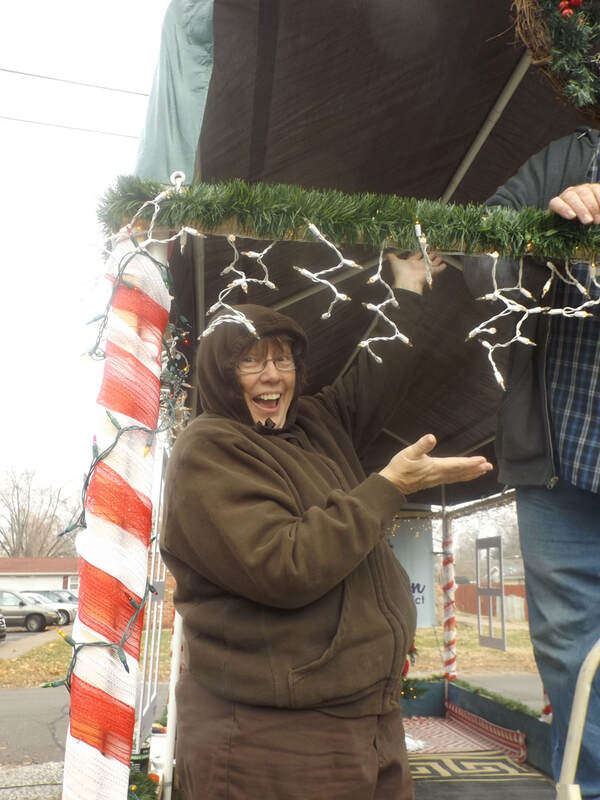 Neva Tindell seems to be having a ball as she pitches in on creating the float! 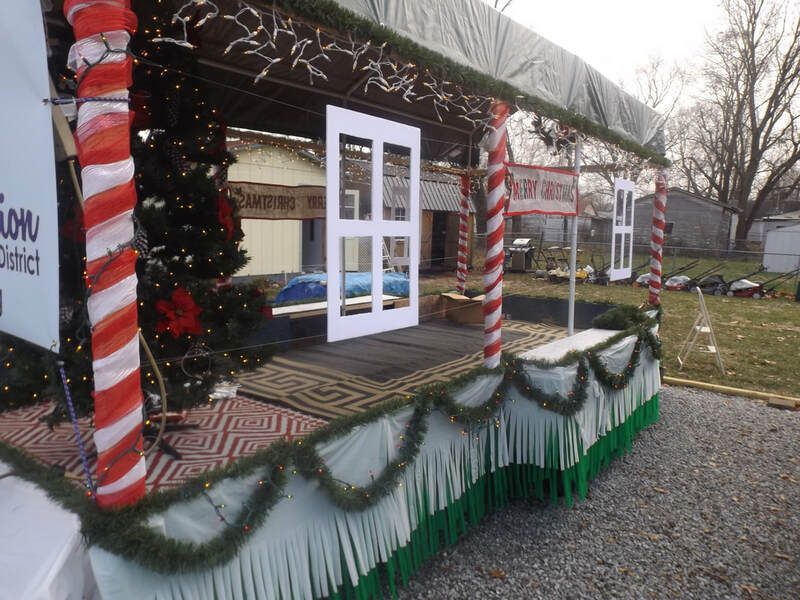 Judy Artis acted in part as photographer for this first even IGMA Christmas float! The float have us an opportunity to show off our new Logo, designed this past year! It wasn't all fun and games--real work was involved. Here Bud and Neva hang lights! 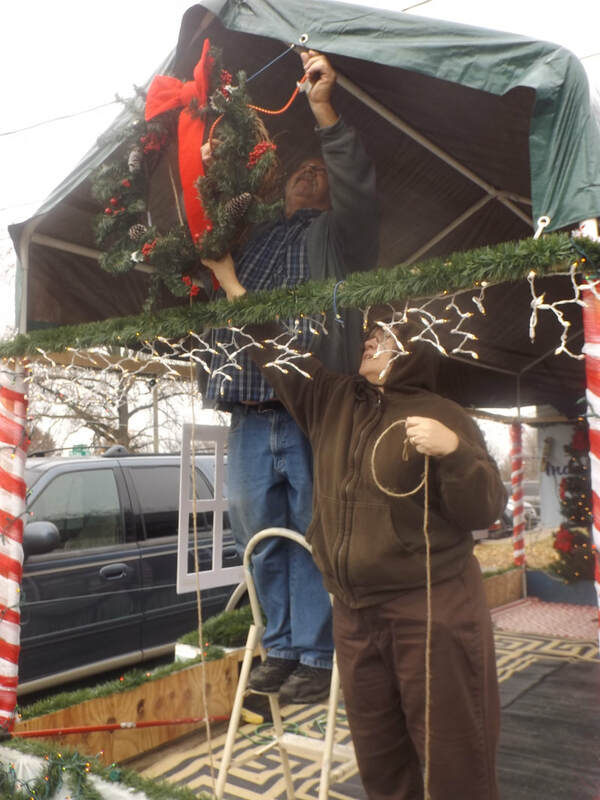 What a great picture with a Christmas wreath framing District President Bud Herndon, who spearheaded the project! It was a team effort as District personnel worked as a team. 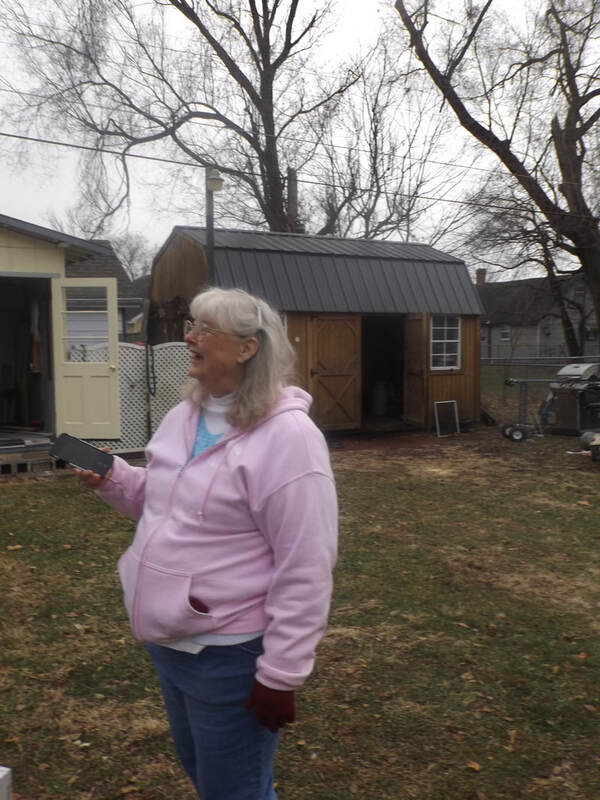 Judy Artis documented the joint project.